In 2001 with financial support from the Maine State Legislature, MAIC and the University of Maine established the Maine Aquaculture Business Incubator Program with facilities at the Center for Cooperative Aquaculture Research in Franklin and the Darling Marine Center in Walpole. 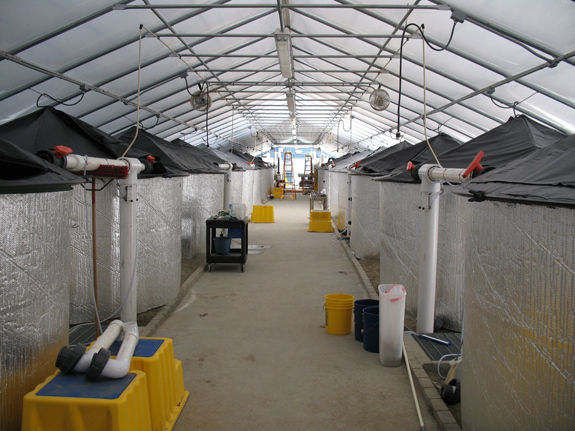 Working principally with start-up firms in need of land-based pilot-scale research and culture facilities, the business incubators provide tank space with flowing and recirculating fresh and salt water culture systems to test new culture methods or products. The incubators also provide office space with high speed connectivity, direct access to University researchers and students interns, business councilors, access to workshops and entrepreneurship training programs such as the Top Gun entrepreneurship accelerator program. MAIC also offers incubator tenants with assistance in sourcing state, federal and private research and start-up funding.